Researchers at TU Delft have succeeded in shuttling electrons one by one through a chain and reading them out at the end of that chain, without disturbing their state during the process. This could represent an important step in the development of a quantum computer in the future. 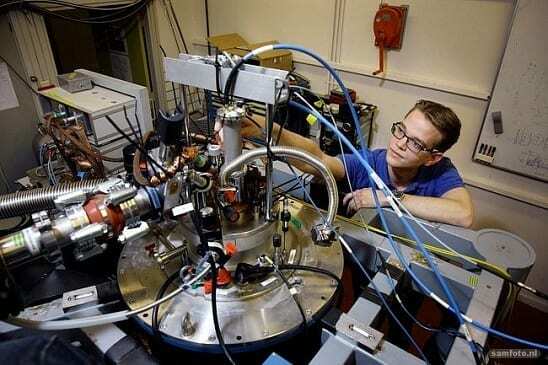 The Delft researchers published their results in Nature Nanotechnology on 04 January. 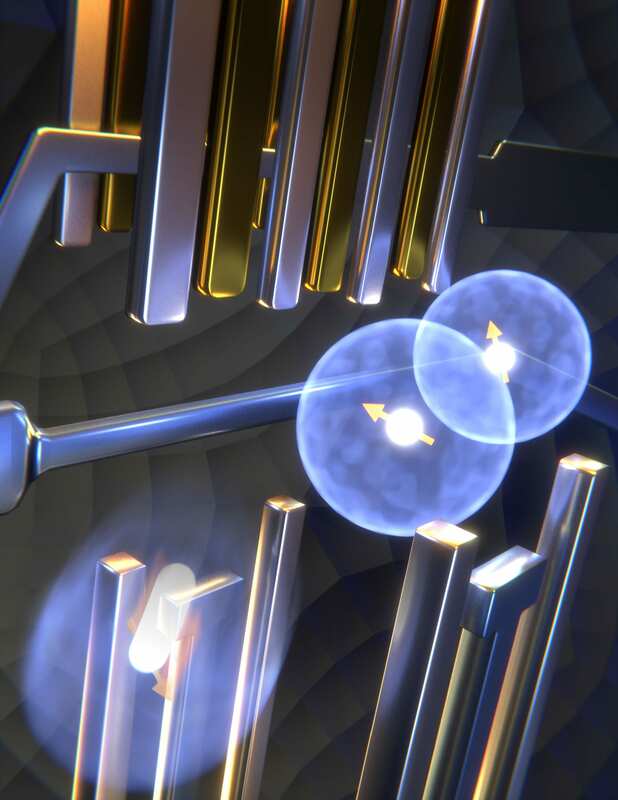 “This field – spintronics – is all about being able to store, transport and manipulate electrons and their spin with great precision,” explains TU Delft researcher Tim Baart. “Put simply, an electron’s spin is the direction of its rotation, either to the left or the right. You can use the spin of an individual electron to store information. The spin state then represents a digital ‘0’ or ‘1’. “To achieve this, we made something that works very like a charge-coupled device (as used in CCD cameras, for example) but on a far smaller scale,” continues Baart. “We can use a CCD at this scale to move a single electron around and even manipulate and maintain its spin state while shuttling it over large distances. In a CCD, pockets of electrical charge are passed along a capacitor array in much the same way as buckets in a bucket brigade – a line of people passing along buckets of water to extinguish a fire. The pockets of charge arrive sequentially at the end of the array, where they are detected by a charge amplifier. This simple concept works excellently for CCD cameras with millions of pixels. We call our version of this concept a ‘single-spin CCD’. This device can shuttle electrons one by one along a chain without disturbing their spin states and then read out the state at the end of the chain,” says Baart, who carried out this research primarily with Mohammad Shafiei, shared first author of the article.